The study of history should ignite a spark within its students to learn from the past. It is sad then to realize as a nation, history is the American student’s worst subject. On average, the American high schooler knows very little history, just 12% of seniors are proficient in US History. (NAEP) Some blame exit testing and the overt focus on teaching math and language. However, for homeschoolers it’s another story. 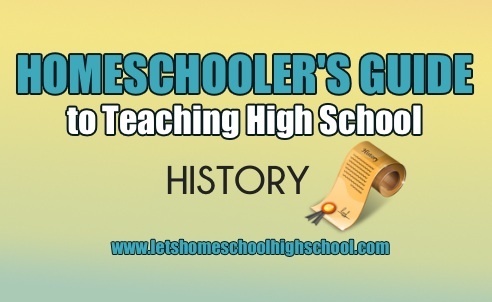 Homeschoolers can take advantage of the freedom and extra time to incorporate history into writing and reading. Which gives the student a much better opportunity to apply critical thinking to the subject. What High School History Courses Do I Need to Study? So, what’s the bottom line? Most states require 3 credits of history to graduate. However, students interested in a political or history based college degree will want to choose an additional history course such as sociology, civics, political science, or international relations as an elective.